The Yttrium Orthovanadate (YVO4) is a positive uniaxial crystal grown with Czochralski method. It has good temperature stability and physical and mechanical properties. It is ideal for optical polarizing components because of its wide transparency range and large birefringence. It is an excellent synthetic substitute for Calcite (CaCO3) and Rutile (TiO2) crystals in many applications including fiber optic isolators and circulators, beam displacers and other polarizing optics. Comparison of basic properties between YVO4 and Other Birefringent Crystals. 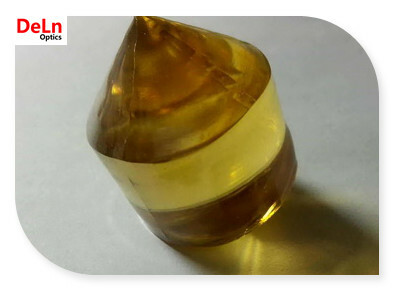 DELN provides YVO4 crystals are widely used in fiber-optic isolators, beam displacers, optical circulators, and interleavers, etc.